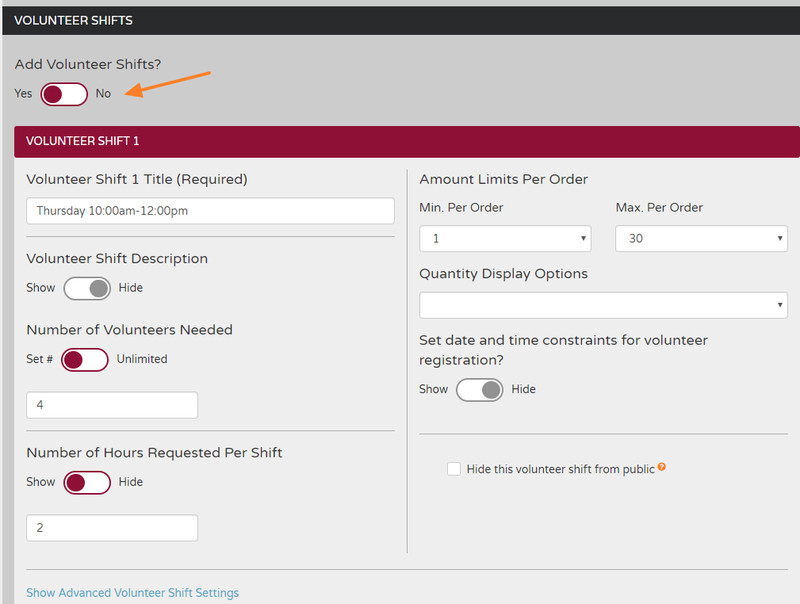 You can now add Shifts to Volunteer Positions. The Volunteer Shifts section is located in Campaigns > Edit This Campaign > Tool Settings > Volunteer > Volunteer Positions-Published > Edit. (If you are creating a new volunteer position click Add Volunteer Position instead of Volunteer Positions-Published) . 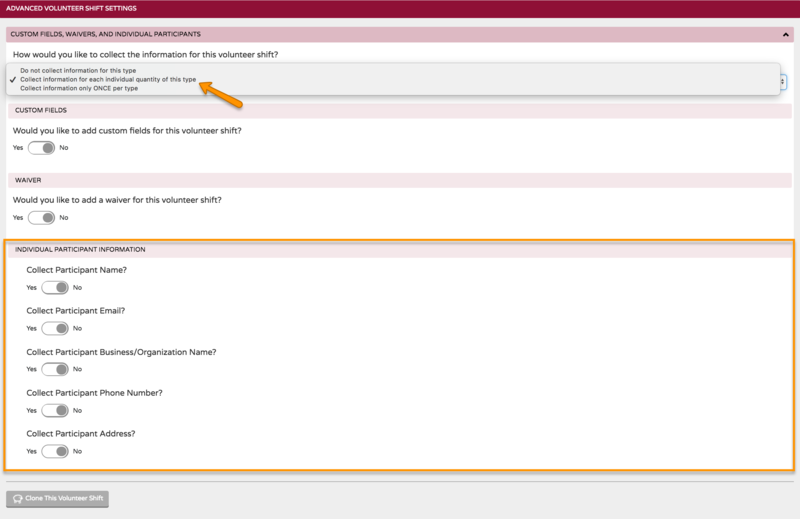 As you fill out your Volunteer position information and scroll down, you'll see a new section called Volunteer Shifts. Click the toggle to Yes to enable shifts. This will allow you to set up multiple time slots per position, instead of having to create a volunteer position for each time shift. You can also allow up to 30 people to sign up at a time, and collect each individual participant information. To collect Individual Participant Information collection you must go into Advanced Settings. Click Show Advanced Shift Settings at the bottom of each Volunteer Shift. From the information collection dropdown menu, selecting Collect information for each individual quantity of this type will bring up the toggles for collecting Individual Participant Information. Activating any of these information collection options within Advanced Settings allows you to collect information from multiple participants for multiple shifts/registrations within a single transaction. For example, if you have multiple people signing up for individual volunteer shifts within a single transaction, you'll want to use these Advanced Settings to collect participant information for each volunteer. You can also add custom fields and a waiver per each volunteer shift positions within Advanced Settings. To add a new volunteer shift, click on the Add Volunteer Shift button at the bottom left.